Law for Life is a radio program that airs on WJTL in Lancaster, PA. The episodes are designed to provide useful information about the law, as it relates to real-life situations, and from a Christian and biblical perspective, as appropriate. Law for Life is sponsored by Trinity Law, a Central Pennsylvania law firm with offices in Lancaster and York, PA. Trinity Law has attorneys specializing in General law, unemployment compensation law, employment law, Social Security law, family law, estate planning law, personal injury law, and civil rights law. The post Employment Contracts & Restrictions Part 1: Non-Compete Restrictions appeared first on Trinity Law. 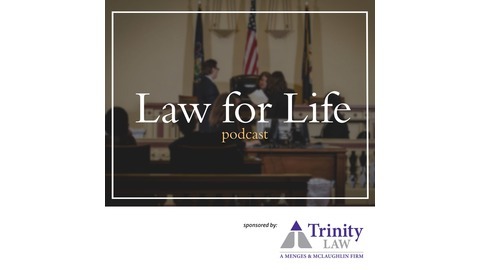 About this Podcast: Law for Life is a radio program that airs on WJTL in Lancaster, PA. The episodes are designed to provide useful information about the law, as it relates to real-life situations, and from a Christian and biblical perspective, as appropriate. 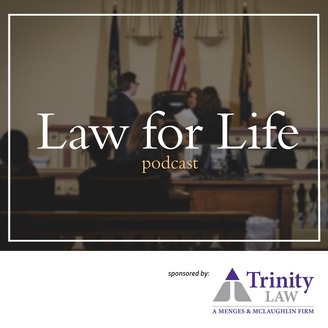 Law for Life is sponsored by Trinity Law, a Central Pennsylvania law firm with offices in Lancaster and York, PA.